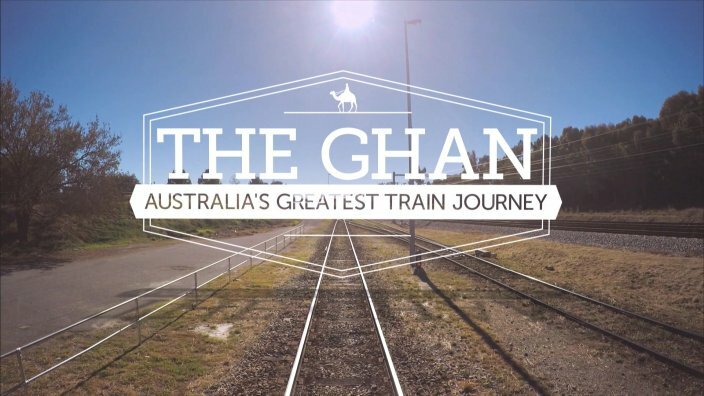 Three hours of Australia's iconic rail journey The Ghan debuts on SBS Sunday 7 January - with no commercials. The Ghan: Australia’s Greatest Train Journey is an Australian-first foray into a genre of television often described as ‘slow TV’. Three hours, no breaks; just the viewer, the tracks beneath, and stunning landscapes of the central Australian outback rushing past. This special event, takes viewers on a journey aboard Australia’s most iconic passenger train voyage from Adelaide to Darwin. The Ghan: Australia’s Greatest Train Journey airs Sunday 7 January 2018, 7.30pm on SBS TV, and will also be streamed LIVE across SBS On Demand and SBS Australia Facebook. An innovative style of television which invites the viewer on an immersive journey, slow TV originated in Europe, where hours of footage of events and voyages such as a ferry ride up the spectacular coastline of Norway, live salmon fishing, and a 168 hour reindeer migration have been hugely popular, with viewers welcoming an escape from the frenetic pace of modern life. Inspired by this style of television, The Ghan: Australia’s Greatest Train Journey puts its own unique take on the viewing experience. The Ghan explores the contributions of the transcontinental line to the foundation of modern Australia. Using contemporary graphics alongside archival imagery, audiences learn the story of the construction of the 2979 kilometre ‘Ghan line’. The train line and subsequent development of central Australia and the growth of Darwin, Alice Springs and Port Augusta can be attributed to local Indigenous communities’ knowledge of surviving the harsh desert, as well as early immigrants, including Europeans, Chinese, and the Afghan cameleers ‘The Ghan’ is named after. Don’t @ me. I’m not on Twitter. Watch our most iconic passenger train travel across the outback in an Australian TV first. SBS in 2018 will continue to entertain, inspire, challenge and, at times, shift the dial on attitudes. All aboard the train listicle! The real stories behind the trains we all love. For some of us, train travel is a way to get from point A to point B. For others, train travel is life itself.